“Mud, mud, mud ,and more mud,” described Stu Thorne, director of the Cannondale p/b Cyclocrossworld.com team of last weekend’s Jingle Cross event in Iowa City, Iowa. With Stephen Hyde knocking off still more podium results, as well as solid finishes from Kaitie Antonneau against the best in the country, the team is poised for the final months of the season. 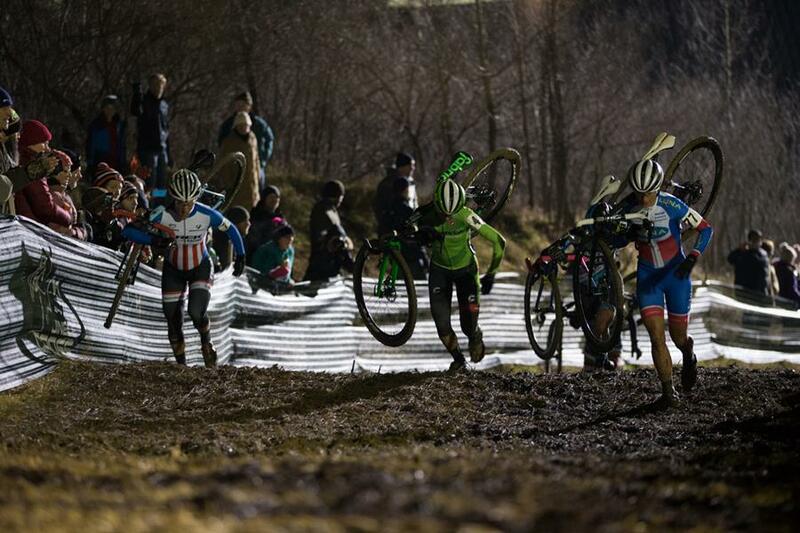 The team turns to the Namur and Zolder World Cups in their next competitions.